Our goal is to create an environment where the Holy Spirit encounters people freely and they are able to receive the healing God wants to bring them. Prayer requests for any kind of situation are welcome because we believe that God wants to encounter us and transform every aspect of our lives. After checking in you will be directed to the soaking room. This is an area where you can sit and soak in the presence of God. You are welcome to participate in worship or just listen. 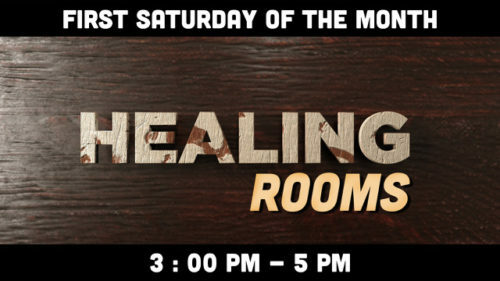 Healing and encouraging Bible passages will be read, communion is available, and team members will help to make you feel comfortable and answer any questions you might have. When the restaurant-style pager we gave you at check-in vibrates, go to the door where you came into the room. Someone from the prayer team will meet you there and take you to a private area for an extended time of prayer. 3 people will pray for you for as long or as short a time as you need. After finishing with prayer, we will ask for brief written feedback and will offer options for additional or continuing prayer and follow-up.